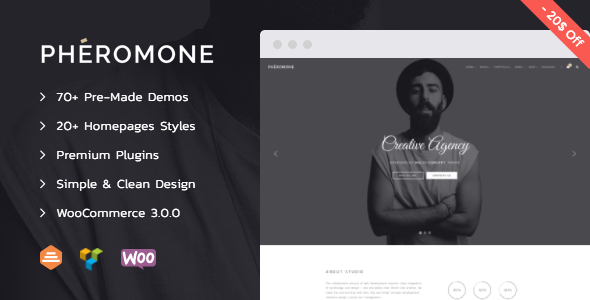 Pheromone is a modern multi-concept, minimalistic, easy to use and fast loading, multi & onepage wordpress theme for building simple and beautiful business or personal site. Made for developers, designers, bloggers and creative people. Pheromone is the perfect theme for your next project!